The only thing better than a top quality gel manicure in the salon – is a top quality gel manicure at home! GelMoment has long been one of my favorite direct sales companies because they have brought the ability to have beautiful gel nails right in the comfort of your own home with a variety of different colors and styles. GelMoment offers all of the tools you need to have beautiful nails at home – at a fraction of the cost of a salon gel manicure. Independent GelMoment Consultant Terri Calabro sent me The Beginner’s Choice Kit for inclusion in this year’s Mother’s Day Gift Guide. The GelMoment Beginners Choice Kit includes all of the tools you need to get you started. 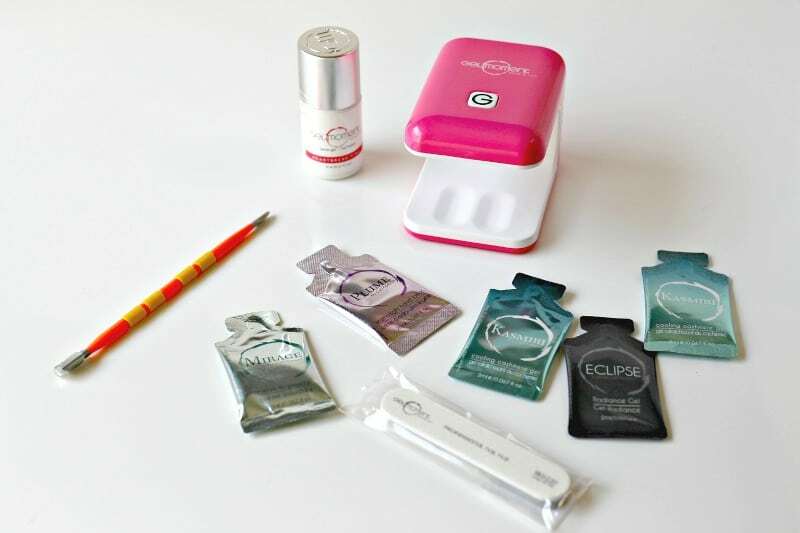 The Kit includes – Your choice of 1 GelMoment30 Gel Nail Polish, 1 GelMoment30 LED Lamp, 1 Mini Nail File, 1 Cuticle Pusher (colors vary), Cleansers Pack of 50, Gel Remover Pack of 50, and 5 Samples from the GelMoment Skin Care Line. Terri chose the color Heartbreak Pink to send – it is SO pretty! It is a deep pink with just the right amount of sparkle – I absolutely love it! Gel Nail Polish offers a one step polish application that is more durable than standard nail polish. With no top or base coat required, GelMoment Gel Polish cures in just 45 to 60 seconds, depending on which one of our LED lamps you choose. You simply Prime – Paint – Cure and voila! You will have beautiful nails for up to two weeks with no chipping or cracking! GelMoment is also proudly cruelty-free, gluten-free, lead-free, latex-free, non-toxic and vegan-friendly. You can shop directly from Terri’s GelMoment website and choose from dozens of beautiful colors and fun nail art too! GelMoment also offers a generous ground floor business opportunity with the ability to sell in person and online in Canada, USA, UK, and in Australia! Check out Terri’s website to learn all about how you can get involved with GelMoment. I am excited to offer one of my readers a $25 Shopping Spree from Independent GelMoment Consultant Terri Calabro so you can choose which products you want to try! You can enter using the RaffleCopter widget below! Good luck!